Nothing says “I love the United States of America” more than American flag tattoos. The only thing that can top that is a tattoo of a glorious bald eagle waving the American flag. American flag tattoos are very specific tattoo designs, which obviously only hold appeal to those who live in the US. They symbolize patriotism and represent one’s love and passion for the country. They are usually on full display, inked in body parts easily seen by everyone. One of the greatest acts of showing love for the country is serving in the military. 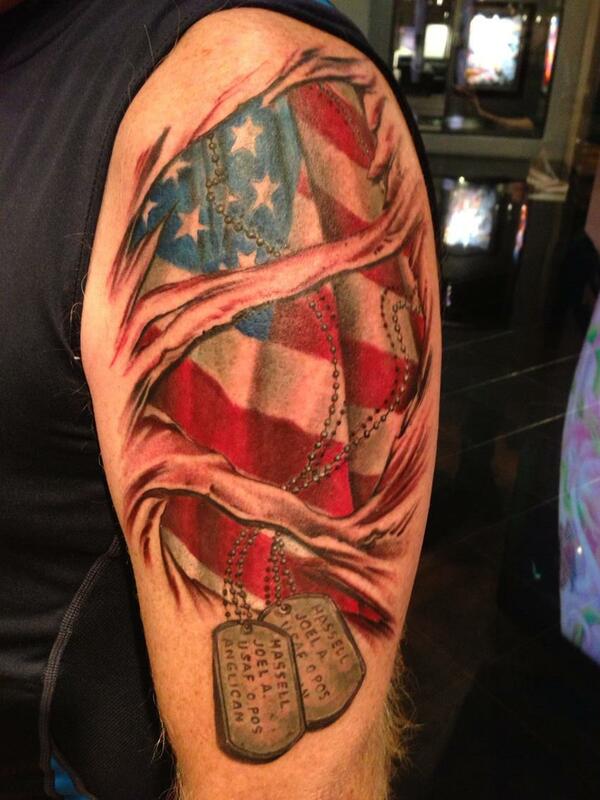 It’s pretty common for those who are currently serving or have served in the military to have an American flag tattoo. It shows respect for fallen comrades and serves as a constant reminder of the friendships and bonds forged while in the military. American flag tattoos are also used to honor a lost loved one instead of a cross or angel tattoo, regardless of whether or not they served in the military when they were still alive. It shows that the person who passed away was dedicated to the country and kept American ideals close to his or her heart until the very end. 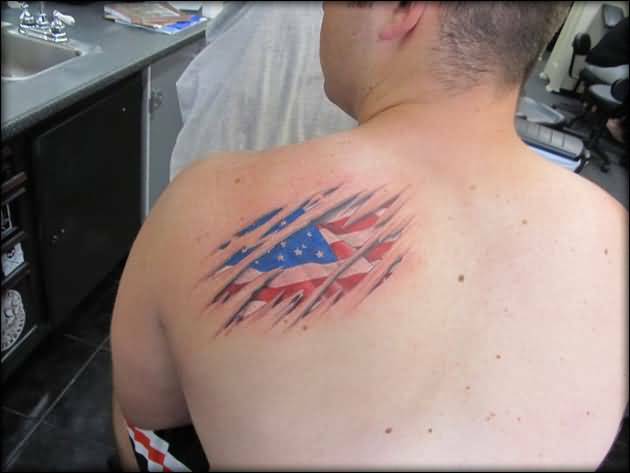 The great thing about American flag tattoos is that they are open to a lot of customization. Though they look best when fully colored in red, white, and blue, American flag tattoos also work well when in black-and-gray style. Unlike certain European countries which shall remain unnamed, the American flag is easily distinguishable. It’s impossible for someone to mistake the American flag for the flag of another country. There’s just no way that’s ever going to happen. American flag tattoos work well in different styles and sizes. 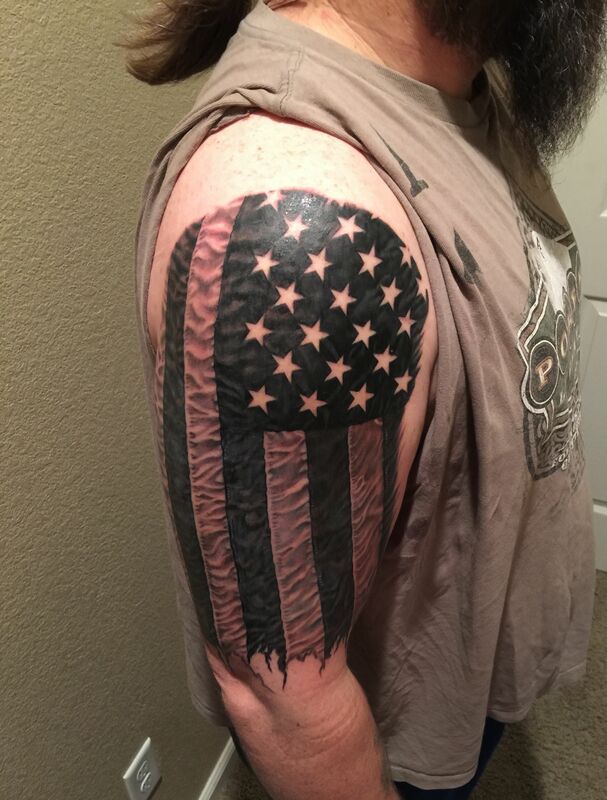 You can go for a full spread-out American flag on the upper back or chest to make sure that no one will ever question your love for your country. You can go for a small one on the wrist or forearm. You can go for a large one that wraps around your biceps. American flag tattoos are best placed in areas where people can easily spot them. Because having them in hidden areas pretty much defeats the purpose of the tattoo. 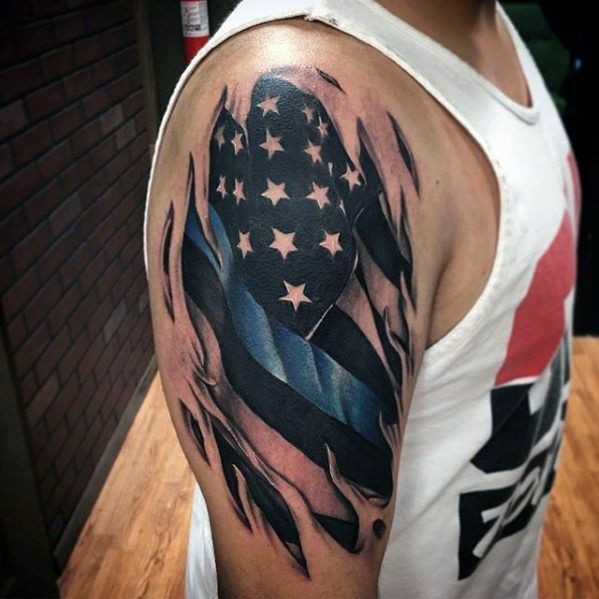 This is why you often see American flag tattoos on the biceps, which is perhaps the best area for the unmistakably patriotic tattoo design. 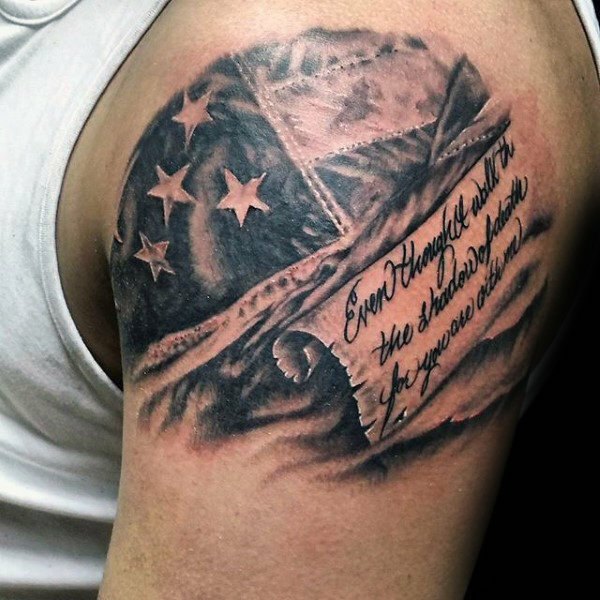 You can incorporate other designs into American flag tattoos to achieve a more personal meaning. You can combine the flag with the head of the Statue of Liberty or the bald eagle, which is probably an over-the-top way of showing your love for the US. 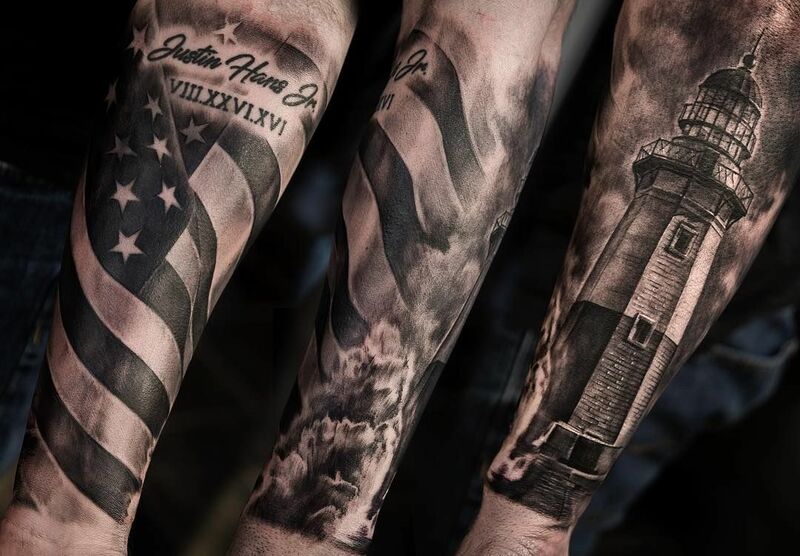 Here are the best American flag tattoos for men.